So, coming to the new product I am reviewing today, just got this reently and must say that I am hooked. 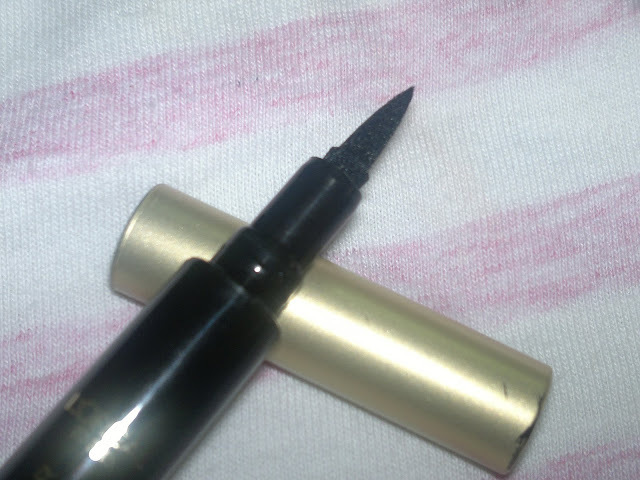 So much so that this has become my go to eyeliner these days. Price: INR 695 (I got this at 10% discount). Packaging is quiet sleek with a black body and a golden cap shielding the felt tip. Ingredient list: provided on the packaging, tore it before clicking pics. As you can see from the swatches on my eye that the liner is a true gem. The liner glides on the eyes like a dream to give you an intense black line. The felt tip allows you to draw as thin or thick a line as desired. 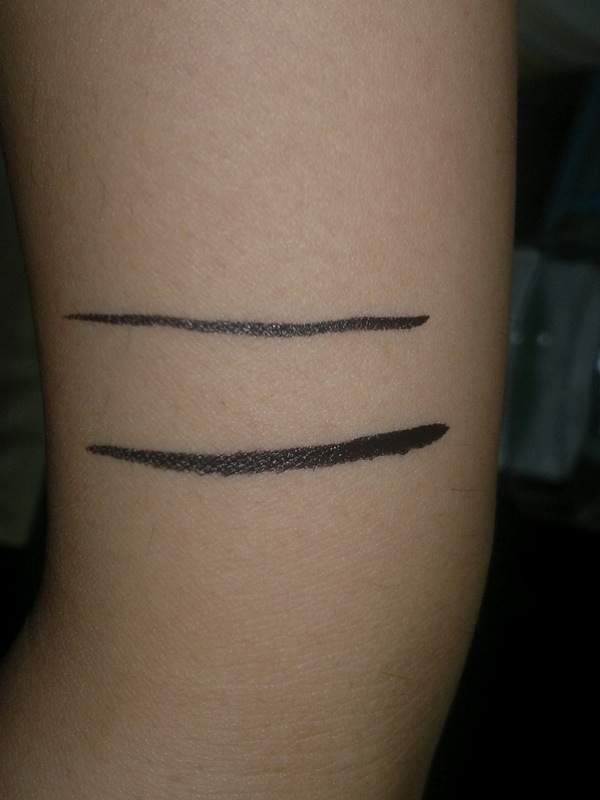 It is very easy to draw a winged liner with this, you can see my attempt above. 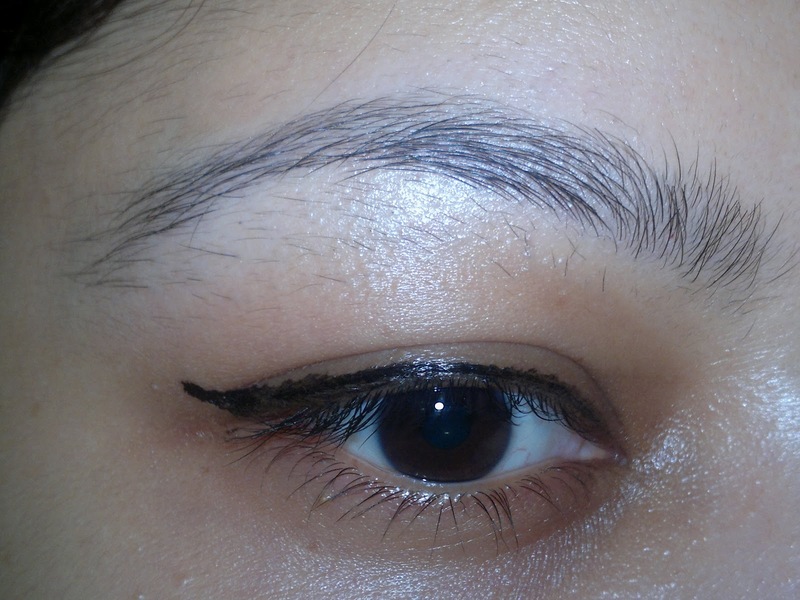 The liner doesn’t smudge or budge or transfer at all and stays as it is for the whole day until removed. Love the true black shade and the intensity it provides to my eye makeup. 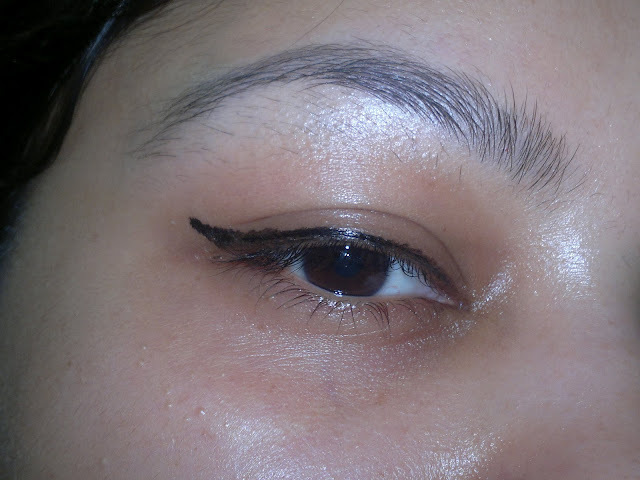 The liner is a god send answer to liquid liners for me and does the job efficiently. Now, for some drawbacks, the liner takes some time, less than a minute though to completely dry on the lids. The liner is not waterproof and smudges big time as soon as it is in contact with water, so ladies don’t wear it outside these days, as it might rain! Product rating: A-, available at L’oreal counters. 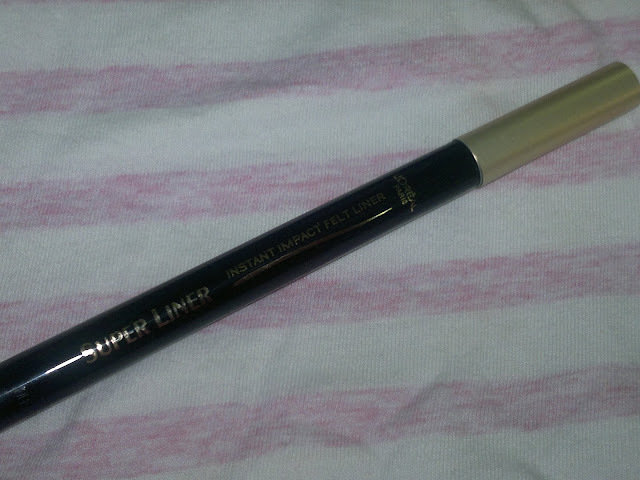 Would definitely recommend it to people who love liquid liners yet are unsure of the application, this one makes it easy peasy to line your eyes. Personally, would love to purchase it again and again.